What does a Chicken Coop Need? Chicken roost! How to build a chicken roost? 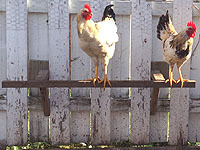 Easy to make, chicken perches or roosts meet the instinctive needs of chickens, perching. Install it in chicken coop, chicken run or in an aviary. Making perch requires just few materials. 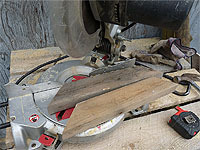 Consider using recycled boards for a cheap perch. 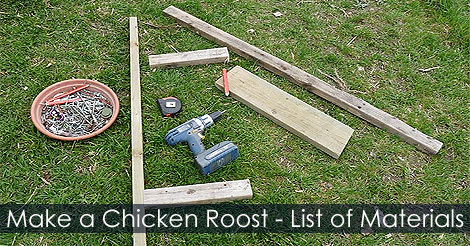 Learn how to make a chicken roost and what is the material required.